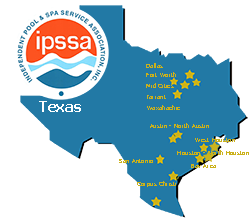 As a member of the Independent Pool and Spa Service Association, Inc., I will utilize my professional knowledge and skilled practical workmanship in providing quality customer service. To that end, it will be my responsibility to keep informed of developments in the pool and spa industry, including new techniques and product applications. My second obligation will be to IPSSA members by giving them any professional assistance they need, including sick route coverage. In this endeavor, I shall respect their clientele and not encroach upon their roulutes. My final responsibility will be to my community and its citizens. I will strive to communicate the necessity for pool safety and other issues of importance to pool and spa owners. In these ways, I will promote the ideals and objectives of the Independent Pool and Spa Service Association, Inc.